I have to say, Sophia Webster’s presentations are always a highlight of fashion week. By the time Sunday swings around, everyone’s a little weary and most definitely in need of a pick-me-up. Enter Webster’s exuberant presentations which jolt you awake like a triple espresso. This season, the “Freak Like Me” invitation denoted either the Adina Howard classic or a more American Horror Story inspired freak show. Set in the derelict Welsh Chapel, the first spectacle in the presentation space was a pair of contortionists as the warm up act. Ascending a very rickety metal staircase, I found myself in Webster’s fun house. 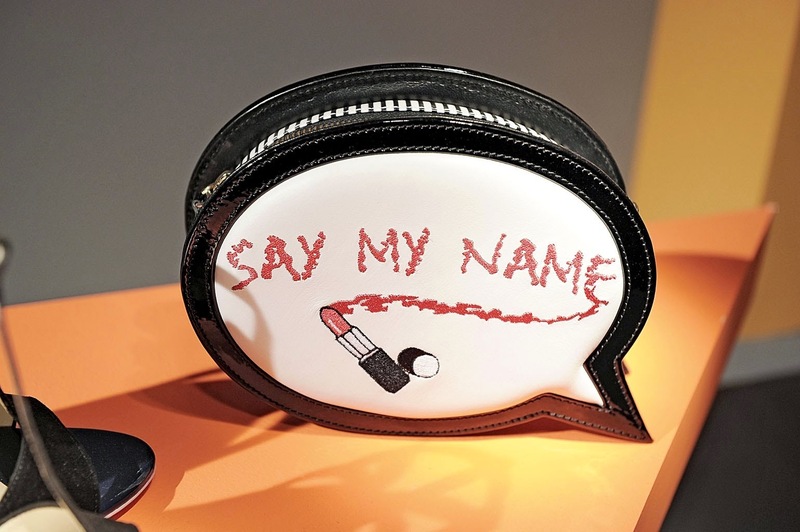 Blunt-bobbed space girls trampolined or swished about adorned with metallic shoes and statement clutches, emblazoned with “Miss Thang”, “Say My Name” and “Just Sayin’”. The more eyecatching pieces were naturally a hit, but I also loved the butterfly collection; butterfly flats and heels with butterfly wings all with matching Mini Me shoes for your little one. 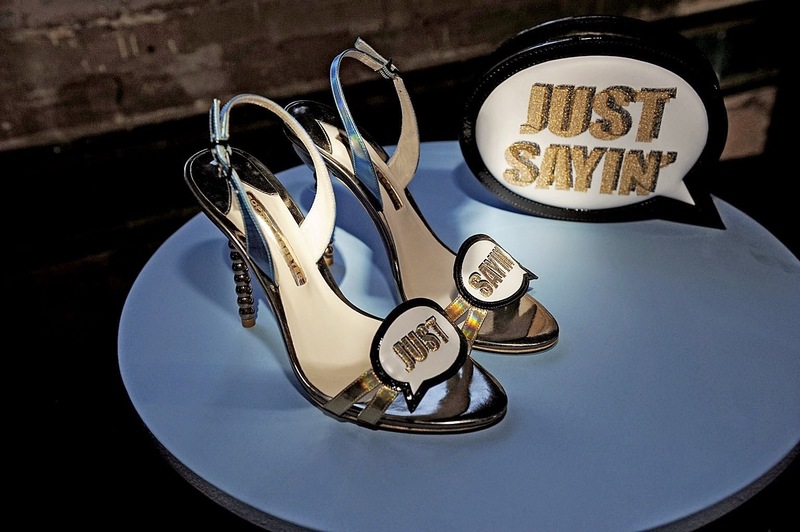 Another fantastic collection from Sophia Webster.